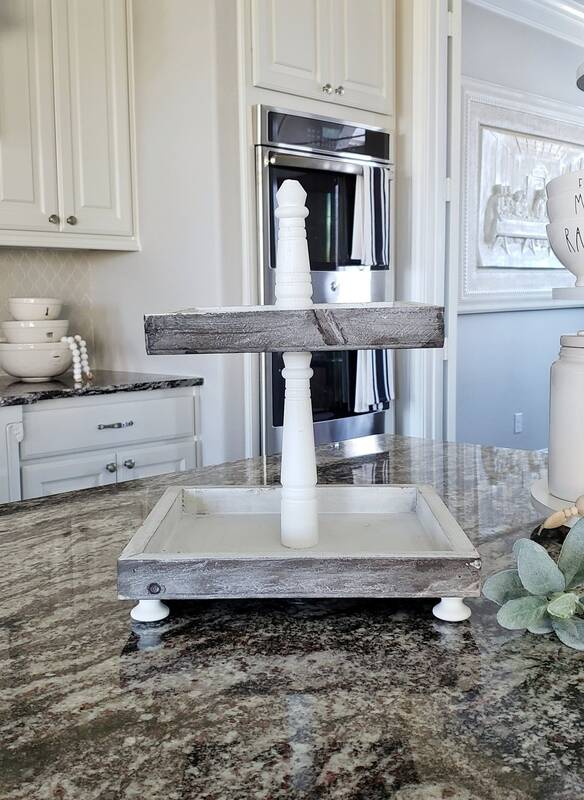 Rustic Wood 2 Tier Square Tray Stand in Distressed White Paint Color. 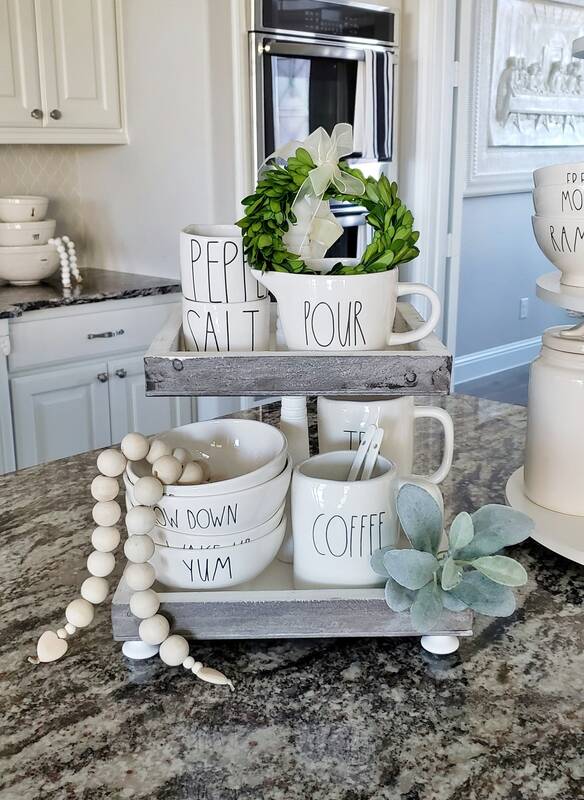 Description: Tiered Wood Tray with two square trays. 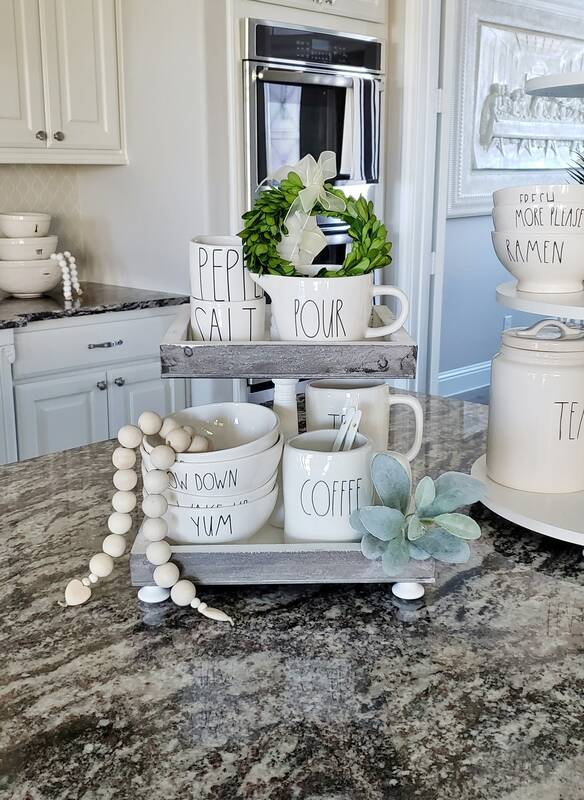 The wood trays have been hand painted in distressed white for a distressed look. Available in two sizes. 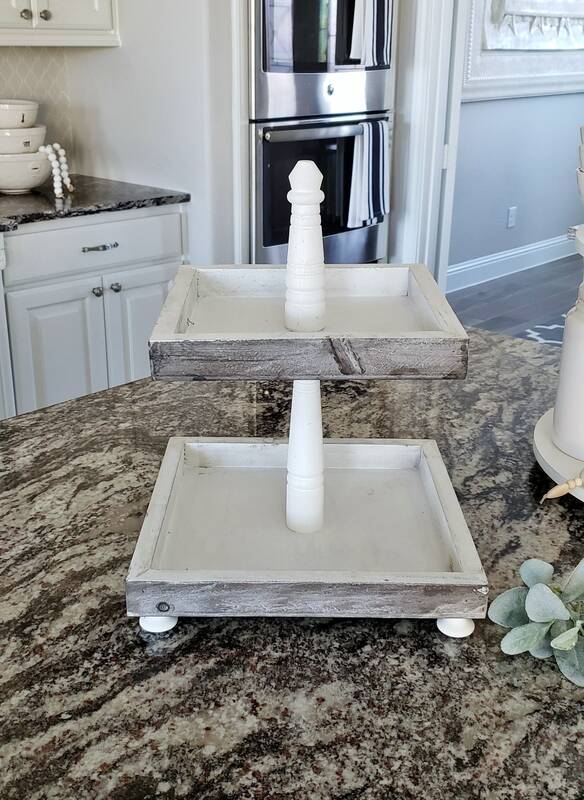 The tray is elevated with 1.5 square wooden legs at the bottom. Coffee mugs & other decorations not included.